Is there no limit to the level of stupidity of products that inventors come up with? Most likely not. Case in point…the TwoDaLoo. Break it down by syllable and what you have is a double-sided toilet where you can chat it up with your mate while you both…’go’…at the exact same time…side-by-side…facing one another. Well intentioned as it may have been at that "Eureka" moment for the inventor, it’s a bit unseemly for the general public, in my humble opinion. 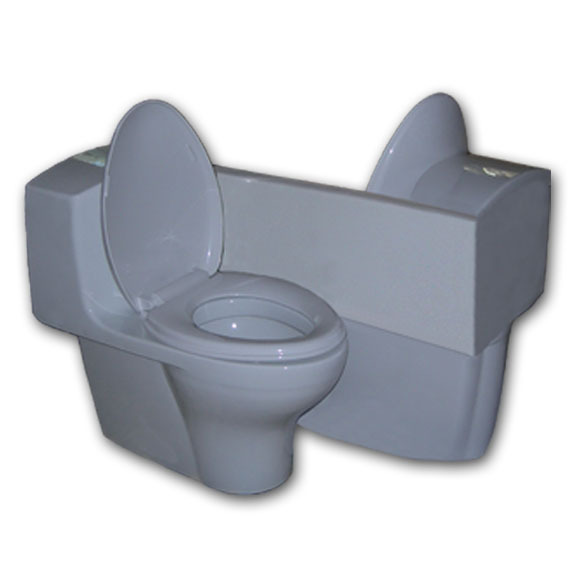 They say that love is blind, and for you to consider this dual-toilet option maybe love would also be deaf and you’d have anosmia. What’s a little dueling tinkles between lovers? 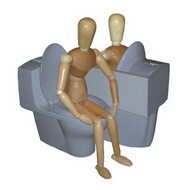 And when you’re through discussing your plans for the evening you can both flush in unison. What a concept. I was made aware of this insane product (via my mate) from This Old House online from an article called Wacky Bath Products and it was loaded with some cool stuff, some weird stuff and something unbelievably dumb…you guessed it…the TwoDaLoo. You can both flush simultaneously using a thrifty 2.6 gallons or single flush mode using half the amount of precious H2O. It also comes with a ‘privacy’ wall. I can think of better ways to make up for the water savings before I go this route. The distributor’s minimum order is 12 so you’ll need to find a contractor willing to take a chance on finding 11 more couples who don’t mind a little tête-à-tête on the loo. Good luck with that.